These Lightbox Signs are Affordable! 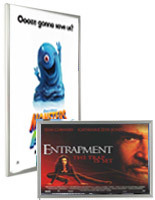 These Displays are Great for Advertising in Public Settings! Order these Lightbox Signs Online or Over the Phone Today! Vinyl diffusion pattern coved by a translucent, light dispersing film. Laser cut diffusion pattern for maximum light diffusion with no hot and cold spots. Metal channel covers LED bulbs. Light dispersing tape covers LED bulbs. Thin profile (.83") barely protrudes from the wall. 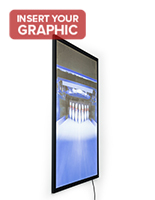 LED technology illuminates the display for up to 11 years! 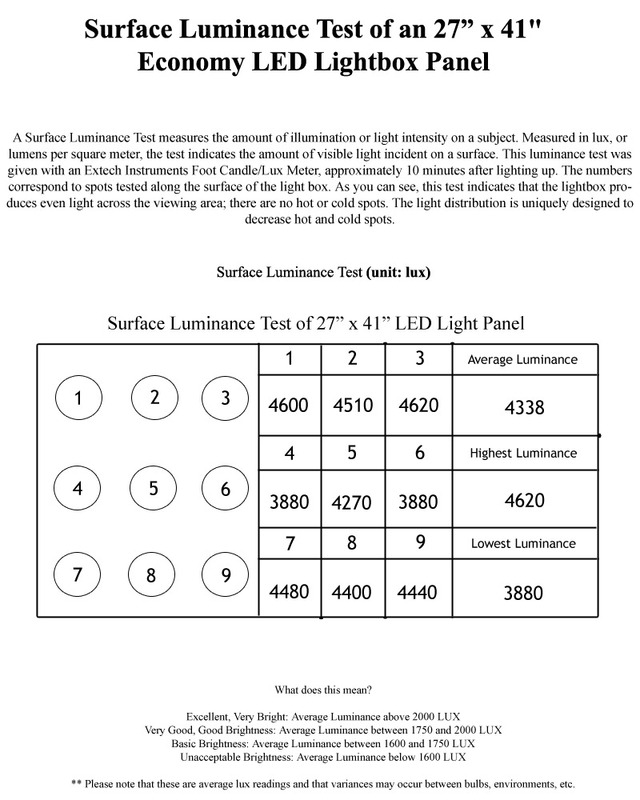 Average LUX luminescensce reading of 4338 registers as excellent brightness according to industry standards. Affordable price will fit any budget. Bright backlighting brings 27" x 41" translucent posters to life. No switch to turn the illuminated poster frame on or off. Limited light diffusion may result in hot or cold spots towards the center of a frame. 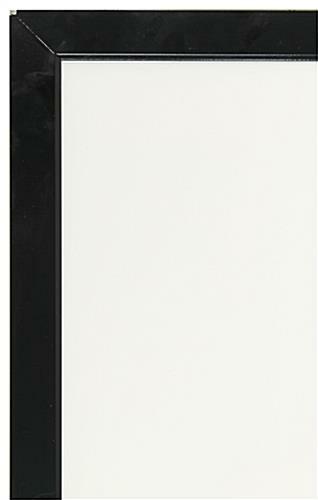 These lightbox signs are ideal for use in businesses and high traffic areas. 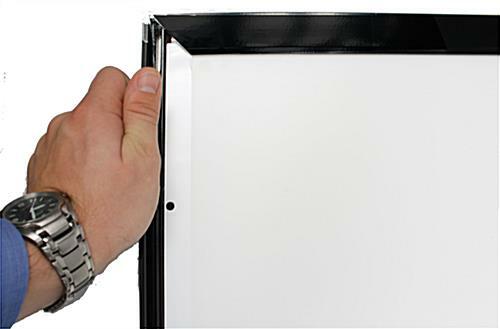 This 27" x 41" frame is perfect for displays at commercial businesses, movie theaters, public transportation sectors and much more. These economy lightbox signs are easy on the wallet and allow users to put in custom signage. Custom graphics are simple to place in these frames, making them incredibly efficient. 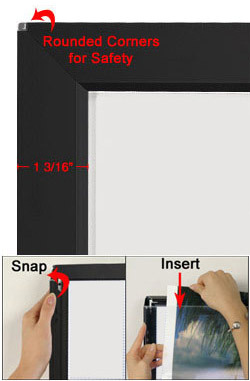 These lightbox signs that snap open allow signage and other advertising to be quickly placed inside. The lux reading for these frames show that light is evenly distributed across this frame. These 27" x 41" lightbox signs are a great addition to any signage display. These displays also come ready to mount. These lightbox signs that include brackets are mountable in both horizontal and vertical format. 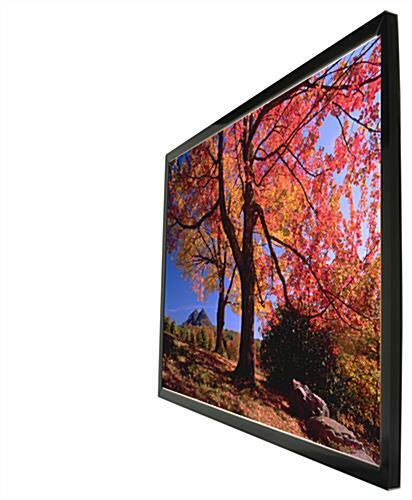 The frame of this display also has a very thin profile. These lightbox signs that are for indoor locations will mount flush to the wall and won't get in the way of passerby. 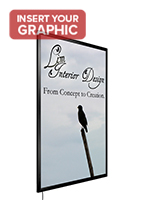 Display custom graphics or pre-purchased prints in this business advertising frame. The lighting of these displays is LED and will save users money, while still lasting for an extended period of time (approximately 11 years). These lightbox signs are effective for advertising and draw customers' attention towards the custom signage. This display uses LED bulbs to effectively distribute light across the poster. 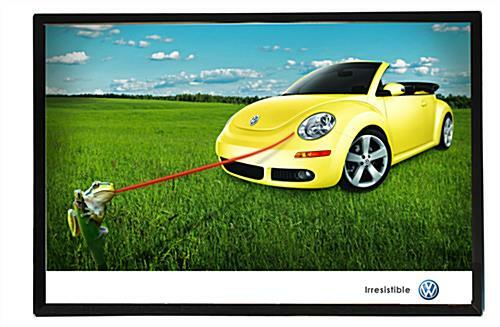 These lightbox signs are an excellent value and great advertising tools for business.